To give you a better visual image of the celebrations as you listen to the episode, in this post I will share some photos from all three processions (as well as a video from Zaragoza) and describe the three different parades in a bit more detail. 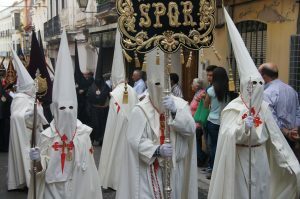 Seville hosts Spain’s most famous Semana Santa celebrations, which have taken place there since the 14th century. 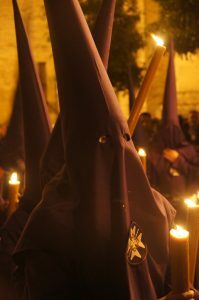 I had wanted2 to see the processions there for many years, so I was delighted that we were close enough, while travelling in the Extremadura region of western Spain, to duck down3 and see them. The historic cities of Andalusia represent the Spain of my dreams, and to be in Seville during Semana Santa was a magical experience. In the afternoon, brotherhoods began marching towards the Cathedral, each one with a different colour scheme and the famous pointy hats that Wendy described in our podcast. As dusk4 fell, an enchanting atmosphere took over the city as the brotherhoods continued to solemnly5 march their way to the Cathedral, hour after hour. We were staying in a hotel in the centre of town so we were able to watch the parade for a couple of hours, then take a break from the crowds back in our room, and then head out again. The barricades and the large crowds made it difficult at times, but it was completely worth it. The Badajoz processions the next day took us by surprise. After waking up late in Seville that morning, we headed to Badajoz for the night so we could move on to Portugal the next day. As we arrived in town in the late afternoon, however, we stumbled upon the processions in the old part of town and had a much more enjoyable stay than we had envisaged6. As Wendy mentioned in the podcast, the Badajoz processions were very much a local affair. The atmosphere couldn’t come closing to matching Seville, but we were able to get much closer to the marchers as they made their way through the narrow streets of the old town and it was therefore a much more personal experience. 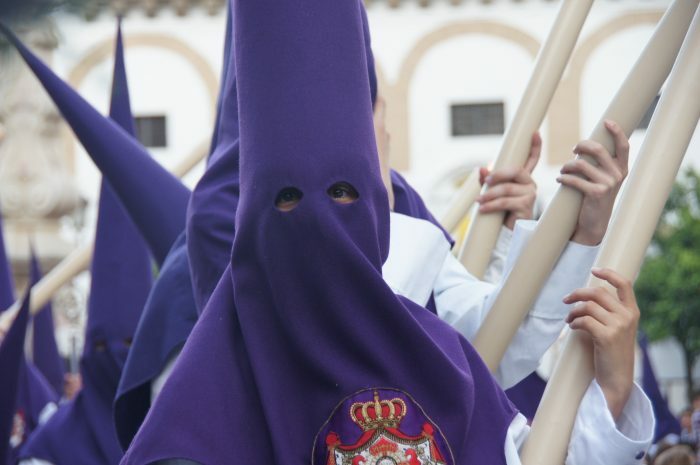 It gave us a different perspective of Semana Santa to see what it must be like in small cities and towns throughout Spain. The following year, we spent our Easter holidays in Aragon in northeast Spain and once again were fortunate to see Semana Santa processions, this time in Zaragoza. The Zaragoza celebrations were centred around the large Plaza del Pilar and this gave us yet another different type of experience, because this procession took place in a large, open space. 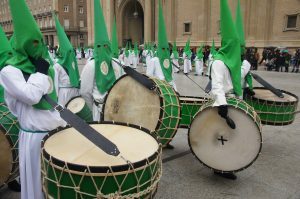 As we mentioned in the podcast, two of the most interesting things about the Zaragoza processions were the green hoods worn by the marchers, and the drumming that accompanied the celebrations. In this short video you can experience both of these things just as we did. That’s it for our brief tour of Semana Santa celebrations in Spain. 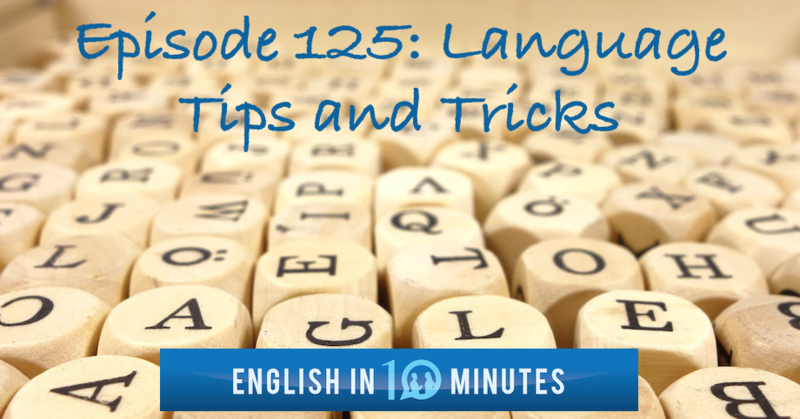 Don’t forget to subscribe to the English in 10 Minutes podcast for more real conversations about travel and stories.